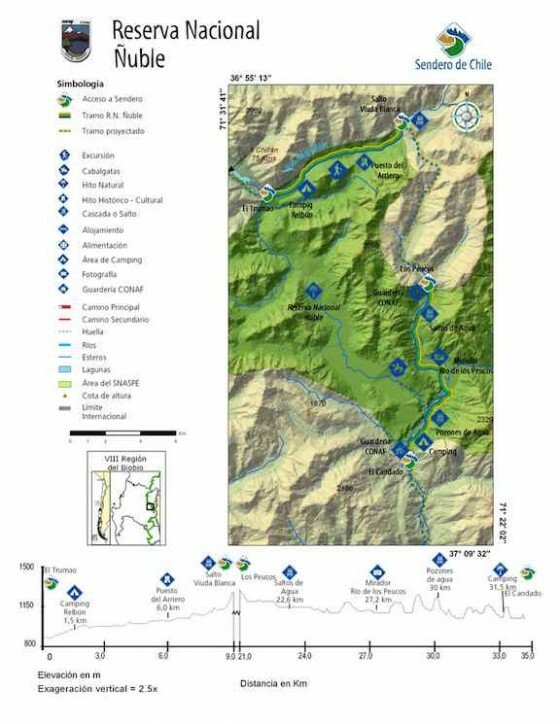 A classic multi-day run in Chiles South Central Andes which has all the good stuff you want in a river trip. 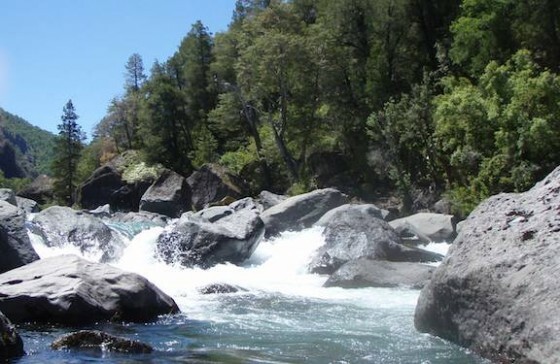 The river flows basically south through the Reserva Nacional Ñuble in Chile´s 8th region. 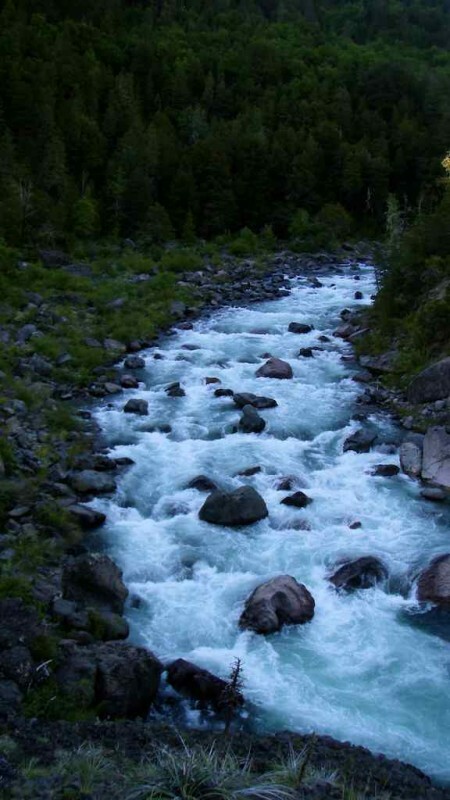 Towering snow peaks provide for good snowpack and longer boating season than many nearby rivers. For years this river was overlooked because it has no road access and people really had no idea that it had water. It´s natural course would be to enter the Laja Valley but Endesa diverted every drop into canals prior to the confluence with the Laja thus it appears to not even exist. 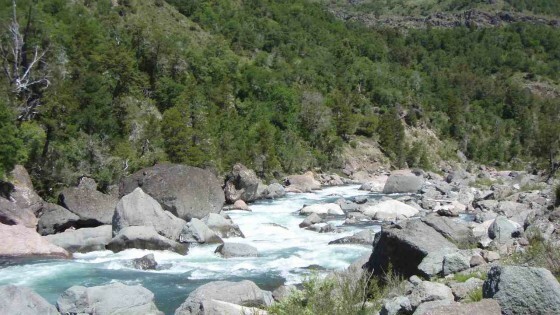 In fact the Polcura provides 25 km of stomping whitewater in a pristine, Roadless environment. Getting on and off the river presents its own challenge. To reach the river you need horses or need to be willing to walk 25 km with your gear up and over a pretty big pass. Here is my suggestion and what Paul Van Cura and I did on our Nov 25, 2011 first descent. Drive East from Chillan to village of Recinto then just before reaching Los Lleuques turn right following sign to Duguillin. In 8 km you reach Puente Antacalco. Just prior to the bridge go left and follow road upriver to an often locked chain at Fundo Los Cipresses. This is private land and you will likely need to pay 2,000 pesos to pass your vehicle. Proceed 150 meters and then follow fork in road to left through a gate. Follow this brutal 4 wheel drive only road another 7 km until it ends at El Trumao swinging bridge. This is also the put in for the Upper Diguillin River. From this point you need horses which can be arranged from Miguel Antonio Ocares miguelocares29@gmail.com phone 76219797. Miguel was a park ranger in the Ñuble for 10 years and knows the park intimately. He will leave Los Lleuques 2.5 hours earlier in day so that the horses are there waiting when you arrive. 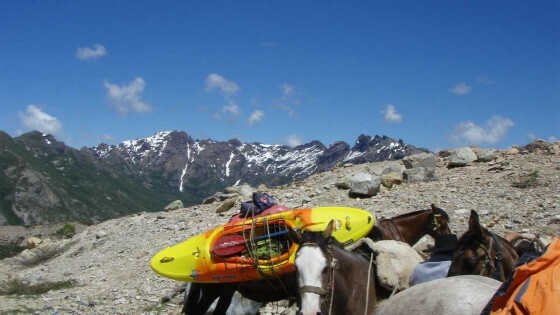 I would highly suggest one mule for each pair of empty kayaks then each person rides their own horse with their gear in a backpack (which Miguel can bring back when he returns). It is a 25 km or 5 hour horse trek up and over pass into Blanquillo Valley eventually arriving at Polcura River in the Sector El Candado on other side of National Park..
En route the trail passes by the 40 meter high (estimated) Salto Blanquillo on the Blanquillo tributary. The Blanquillo enters the Polcura 2 km below the put in. Fishing is amazing at this point so plan to camp and eat fish. 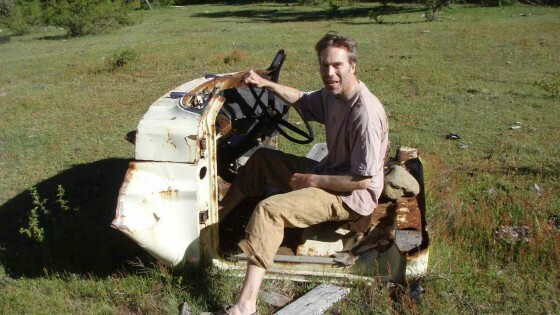 Miguel will camp with you and leave the next day for his return trip. At this point, anything you do not need or can not carry in your boat (backpack, boots, etc) give to Miguel and he will take back. 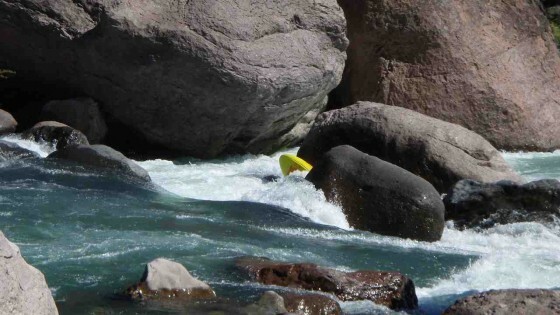 At the put in we found an ideal flow of about 800 CFS which grew to an estimated 2000 CFS by end of trip. 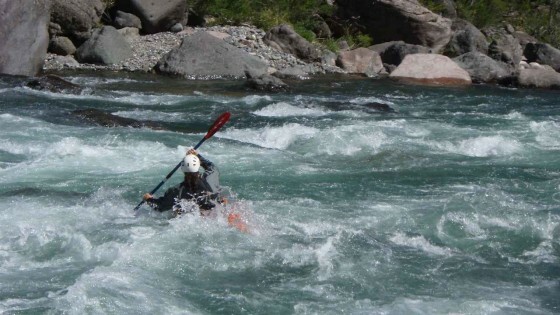 The river started off with 2 km of class 4-4+ whitewater until its confluence with the Rio Blanquillo. From this point there were 3 km of class 2-3 water through incredible basalt plugs, followed by an additional 3 km stretch having intermittent class 5 rapids and some nice beaches for camping. Next up are 4 km of some of the most pumping class 5+ water in Chile. Everything is portagable and with good flows sneak chutes open up. Upon reaching the Estero Attravesado (entering on river right) the river backs off to class 4 then quickly down to class 3 for final 15 km to takeout. An old abandoned logging road follows this final section on river right. Takeout is at the Endesa bridge upstream of where river goes into a canal. It took us 12 hours on day one to get to Estero Attravesado then another 2 hours next day to reach the bridge. I would strongly suggest camping before the wild stretch and starting into this section fresh on day 2. Everything is runnable but is so continuous that things could easily get out of hand. We had a boat get pinned. Take out situation is also tricky because you are 13 km up from an ENDESA gate. Private vehicles are not allowed in without permission so plan this part carefully or expect a 13 km walk out (as the river below is dewatered). We used a shuttle driver that grew up in the Endesa community and knew how to get permission to get in. He lives near Termas de Chillan in Las Trancas and his name is Maxiliano Sandoval 85604046 or 89599824. Max rode with his to put-in then return with our vehicle to his home. He then met us at takeout at prearranged time 2 days later. It is a 6 hour (250km) shuttle drive so plan this part out carefully as well as put in logistics. The rewards of this trip and the efforts put forth to make it happen are well worth it. Put in elevation is 1075 meters (high for Chile) and takeout is 800 meter. The river drops 275 meters in 25 km. At first glance the average gradient of 11 m/km would appear to be pretty mellow but in reality the gradient is concentrated in multiple sections averaging over 100 FPM and with 1500-2000 CFS you have some boisterous sections.. Note: Upon crossing the Diguillin River at beginning of hose trek to put-in you will be entering the National Park and are required to pay an entrance fee of 2200 pesos per person. 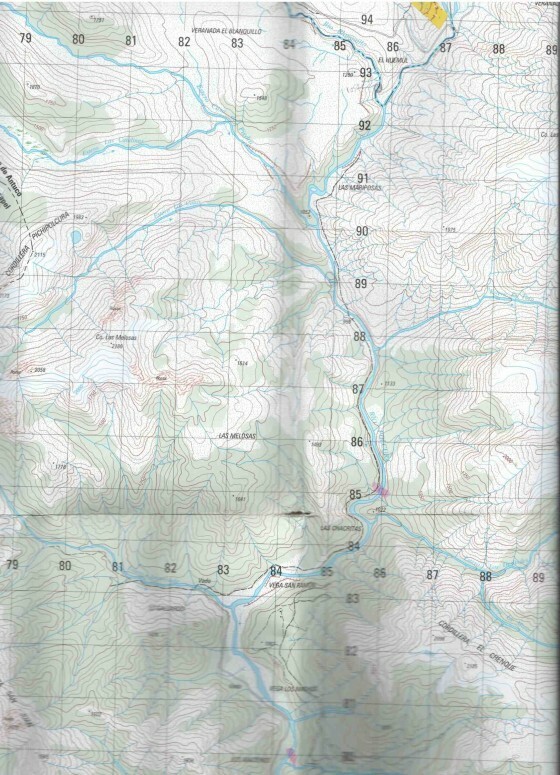 The topo map for the bulk of the river is called Puntilla Chillan G-010. I would highly suggest having a copy. We lost a kayak in a sieve and had to hike a person out. Having the map allowed us to figure the best way of finding a trail. 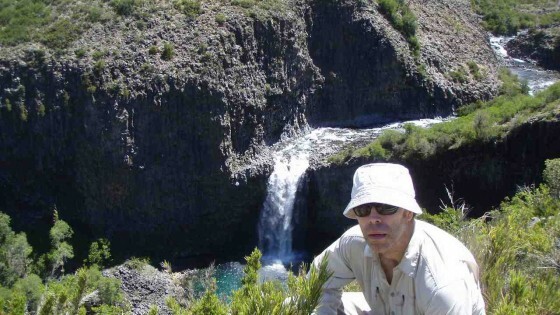 Due to higher than normal altitude for Chilean Rivers, The Polcura drainage has cold nights and ultra cold water so come prepared.